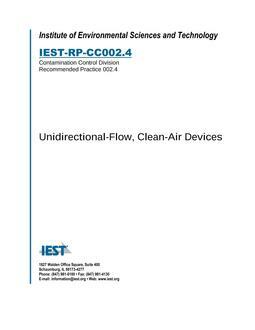 This Recommended Practice (RP) covers definitions, procedures for evaluating performance, and major require-ments of unidirectional-flow, clean-air devices. 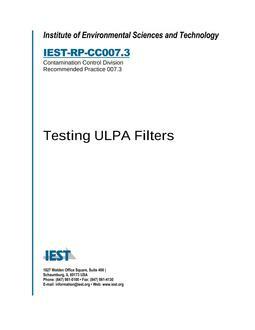 The RP may be used to define a basis of agreement between cus-tomer and supplier in the specification, procurement, and certification testing of unidirectional-flow, clean-air devices with self-contained motor-blower(s) and powered terminal units with replaceable filters. This document also presents recommendations for recertification of devices owned by the customer, under direction of the customer.